Majid Al Futtaim’s City Centre malls in Dubai are hosting a unique cirque spectacular showcasing acrobats who dazzle amazing feats of athleticism and daring heart-stopping stunts as part of the Dubai Shopping Festival 2016 celebrations. The Golden Cirque stunned visitors at City Centre Deira, Mirdif and Me’aisem during the opening days of the stage show starting January 7th and are set to perform three times daily, at 5pm, 7:30pm and 9:30pm, until January 17th. Throughout the month of DSF until February 1st, City Centre malls in Dubai are set to host a packed schedule of stunning stage shows and roaming entertainment for the whole family to enjoy. From January 18th – January 24th, at 4:30pm, 6:15pm and 8:30pm, City Centre Deira will present the ‘Colourful Mood’ stage show, an unforgettable and magical experience of colour and artistry. The following week, from January 25th – January 21st, a vibrant and beautiful acrobatic show performed by talented children take the stage. Young gymnastic performers from the ‘Wonder Talents’ show will flip, leap, twirl and spin their way into audiences’ hearts with their awe-inspiring routines and bright costumes. At City Centre Mirdif, ‘The Imaginary World’ stage show featuring a talented cast of eight children will perform for mall visitors from January 17th – January 24th. The ensemble of extraordinary young performers star in this one-of-a-kind show that will transport audiences on a journey of fantasy and make-believe. City Centre Mirdif visitors can see ‘The Imaginary World’ show three times daily at 4:30pm, 6:15pm and 8:30pm at the mall’s Central Galleria. As well as a lively line up of stage and roaming entertainment, to celebrate Dubai’s traditional association with precious metals the malls will give away four kilos of gold – one kilo per week – with winning opportunities throughout DSF. 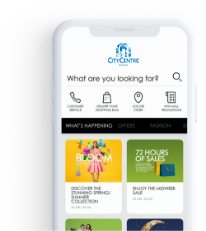 City Centre Deira and City Centre Mirdif will encourage shoppers to search for gold coins with a metal detector, while City Centre Me’aisem will test its visitors’ memories with winners receiving golden surprises. Set to be the biggest in the festival’s history with an exciting calendar of events yet to come, the 21st edition offers experiences for the whole family including citywide events, international shows, mega attractions, numerous shopping opportunities and winning options for visitors and residents from around the world.